In stock -This product will ship today if ordered within the next 10 hours and 39 minutes. 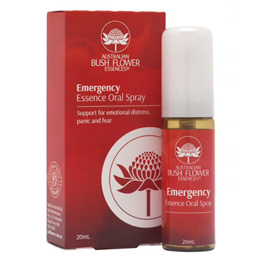 The Emergency Oral Spray is a fast acting natural formulation, developed using Australian bush flowers. It`s nature`s relief for everyday distress. Our emotions are put to the test everyday. Coping with today`s busy lifestyle, daily dramas and life`s emergencies sometimes requires some gentle and effective help. So whether it`s a visit to the dentist, a big exam, public speaking or you`re just not coping, reach for "balance in a bottle". Don`t leave home without it! Angelsword, Crowea, Dog Rose of the Wild Forces, Fringed Violet, Grey Spider Flower, Sundew, Waratah, 33% Brandy (12.5% alcohol). 2 sprays on the tongue, anytime, anywhere. Do not exceed directions for use for children. 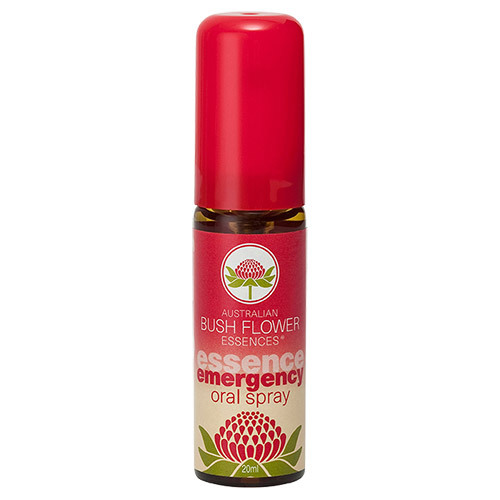 Below are reviews of Australian Bush Flowers - Emergency Spray - 20ml by bodykind customers. If you have tried this product we'd love to hear what you think so please leave a review.